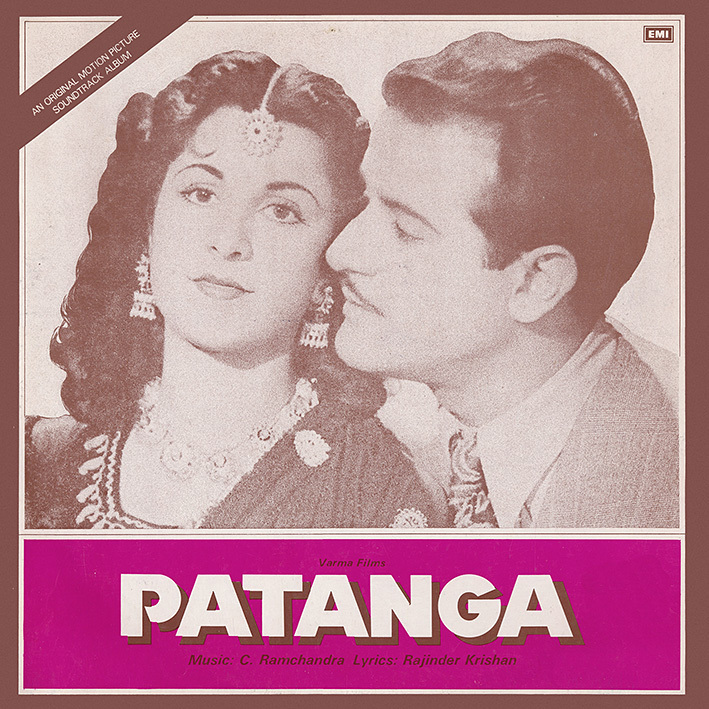 On hearing C. Ramchandra's 'Patanga' [review] for the first time, my initial thought was "wow, what a fantastic album!" A dozen or so listens later that impression has only been strengthened. Those who have followed the blog for a while will know I have a soft spot for these early soundtracks; this is one of the best I've posted. Get ready to be transported to another world, a different time. The dainty waltz-timed 'Dil Se Bhula Do Tum', the stunning old-world exotica of 'O Dilwale Dil Ka Laguna' and 'Thukrake Mujhe Jane Wale', the superb jazz-tinged 'Mere Piya Gaye Rangoon', the beautiful ballad 'Kabhi Khamosh Ho Jana' and the life-affirming gem that is the Caribbean-flavoured 'Namaste Namaste'… there’s not a dull tune among them, and not one that won't induce a heartening feeling of nostalgia. Absolutely brillant.